Today I have my lovely son here to talk about something that is really important to him! He asked me if he could write something about what he loves about not using school. He wants other families to think about unschooling and unnecessarily controlling kids. Hi, I’m Cameron. I am seven. I love minecraft, pokemon, soccer, lego, and playing with my friends. I wish kids weren’t forced to learn things they don’t want to. I wish they all got to learn like I do. I wish all kids got to eat when they want to and play when they want to. I like that I get to play with friends that are all different ages. I have friends who are adults and friends who are younger than me. I love that I get to spend time with my sister who is five and my baby sister who is 10 months old. And my mum and dad too. I really wish that other parents knew how easy it is to not use school. I think kids should get to choose what they do and not be forced. If we just show them how it works maybe they will listen to their kids. It’s so good I don’t have to get up and rush around in the morning. I can just eat whenever and whatever I want. I don’t feel forced. I like playing in nature. I get to spend lots of time with my friends and we get to choose what we do. We went camping with lots of our friends who unschool and it was so exciting and we all played and explored all day. I discovered lots of new things because my friend who is nine told me about it and I talked with some other mums. I am glad I don’t have to sit down all the time because I love running and soccer. It’s good I don’t have to always do things at a certain time. When I’m in the car with my mum we always talk about lots of things and she answers all my questions. I know my mum and dad will always listen to me. I don’t like how some adults are distracted and don’t answer their kids. At parks sometimes I see them do that and yell at their kids. I see kids in school when we drive past and they all are wearing the same things and doing the same things. I think I’m lucky that I get to just be me. Thank you for reading! I know Cam would LOVE to hear your comments. Hi Cameron! I really enjoyed reading what you like about unschooling. I’m pretty sure my son would agree with everything you say. He loves unschooling too because he loves being in nature and learning about the things he’s interested in. We chose unschooling after reading your mum’s blog and some other blogs written by some of your friend’s mums, so you are already helping people change their minds about living without school. Thank you! Cam: that’s so good you do Unschooling too. Thank you for reading and for saying that. Hello Cameron! Sending out lots of thanks for sharing your very valuable viewpoint with us all. Did you know, that after reading your mums (and friends) words, we decided to unschool too? It’s been wonderful, but sometimes I still feel scared that its ‘different’ to most people. I am so glad you were able to share your feelings, because I think my kids feel the same too. And that makes me less scared, and more brave. Thanks! Cam: The more you do it the more you will be less scared. Hi Cam, what a wonderful, beautiful life you have. I wish all children could be unschooled too. Cam: Thank you for reading my blog. Hi Cam! I loved reading your post about how you get to live your life. I hope you inspire lots of parents to let their kids be free like you! Cam: I have a friend who is an adult whose kids are my friends called Alex and a friend who plays soccer who goes to school named Alex and now I know you so 3 Alex’s! Thank you. Cam: Thank you Jess, I hope I see you again soon! I loved reading about the world of unschooling through your eyes. Thanks for sharing your perspective! Cam: Thank you I want to write some more. Hi, Cameron. My name is Duncan. I will be 7 in a couple of weeks. I have a 5 year old sister, too, and I like pokemon and soccer. If you lived in Michigan, we could be awesome friends! I caught a frog the other day. We will be releasing it back to the wild on Saturday. Cam: Hi Duncan, I wish you lived in Australia! We raised green tree frog tadpoles into froglets then frogs and it was great and we released them back into the wild too. What’s your favourite Pokemon? Mine is Mega Charizard X.
Hmmm… that’s a hard question. I’m going to say Mega evolved Beedrill. I think it’s great that you are free to be you, too! Thank you for sharing Cameron! It was so great to hear your prospective. My family started unschooling after feeling something wasn’t right and reading a blog similar to this one. I am so happy we found you all and have decided to unschool. It is really hard sometimes when I think about all the things the world says we should be doing, but it helps knowing there are other kids out there like you! Cam: thank you for reading and saying that. So great to hear your perspective Cam. Thanks for taking the time to write it up. Hi Cam! Thanks for writing your blog piece. It was really cool to read because when I was a kid, I was unschooled too (though I didn’t know it was called unschooling then, my mum just called it home based learning!) and I loved it just like you did! And felt the same about seeing other kids in school and all that comes with that. I’m an adult now and have a toddler of my own. When she’s old enough to decide for herself she can choose whatever way to learn she wants. My brother and I grew up learning about nature and enjoying every day. He works as an envirmonmental scientist now with his own business, and I am soon to be a psychologist because I love helping people. One of my homebased learning friends is an archaeologist who travels the world and was on the dig site where they found the ancient hobbits in Indonesia recently. It’s a big blessing to be able to follow your passions everyday and love your life and I am always grateful that unschooling gave me that. Take care! Hi, I’m Oscar, also 7 I like Minecraft, Lego and Pokemon too! I also like Airmech, have you ever played that? I don’t go to school either! Hi Cameron, I’ve only recently started reading your mum’s blog and I’m finding it really helpful. I have a 4 year old son and we aren’t sure school is the right thing for him. The more we read, the more courage we are finding in our hearts to make that call. Why does it seem like such a tough call?!! Reading your post is helping me see how things could look from his perspective if we were to unschool. Really helpful! Thankyou for sharing and helping me see how easy it is to not use school. I was so happy to read your post! I have 4 children and the oldest is 7 like you. Sometimes I worry that I’m not doing the right thing for them as they don’t go to school, and sometimes friends and family tell me I’m doing things wrong and it will hurt my children to be out of school. But after reading what you wrote I feel so much better! I know my 7yr old daughter feels the same as you. She wanted to go to school for a while so I sent her to a weekend school but then she realised she had to spend such a long time sitting down and doing boring things, she said all the kids were playing up because they were bored or they wanted to run and play instead. So then she decided she didn’t want to go to school after all. Right now she and her 5 year old sister are making life-sized paper cut-out people and playing with them in the garden! Hi Camron! The blog is great! So many things that are so true! I agree with everything you said. Maybe we could be friends, my name is Connor I am 10 years old my favorite games are roblox and game outside. I also have a YouTube channel if you want to see it it’s Edge WindFire. Goodbye Cameron! I am a radical unschooler like your mom. I know my seven year old boy feels just the same as you about school. He likes to play video games and watch silly movies. We have a creek in the back yard and love to go down there and investigate. He really loves eating when he is hungry (which is all the time) and not getting dressed, LOL! I love having him and his 16 year old sister home with me all the time. We also have pets! Two cats a dog and a fish. Noah and Ariana are great at helping out with them. Thank you so much for your perspective! My little boy is almost 3 and every time I read about unschooling I’m even more convinced that he’ll thrive being unschooled. He loves to explore, go on adventures and learn about things. He’s always asking me why and how things work. I don’t think it’s fair that kids bodies are made to move and grow and then schools try to make them sit still. I’m so excited that I can choose a different way for my son to learn. Love from Sara and little Albert. I’m from Colombia and I am currently living in Australia!!! In Colombia I have many friends in their childhood and unfortunately they have to go to school and they are not happy at all going there. Once a 12 years old boy told me something really sad: “I know my childhood are the best years of my life. Just few years and I have to waste big part of them going to school.” I really appreciate that you and your mother take the time to write and in this way help other children. Thank you for sharing your point of view! I have been wanting to take my 7 year old son out of school so he can also be free to learn and explore. This helps me to see it how my own son would! Thank you so much for sharing your wonderful experiences! My son is only two but we plan to unschooled him like you. He loves moving and running and jumping and I think being able to do that is important. We don’t go to school either! I like Lego and minecraft too. I went to school for a while but I hated it. I had to stay in at morning tea because I was slow doing my work and I got really hungry. Now I can do whatever I want except for maybe steal lollies from the pantry. And my brother’s arm is broken right now. I am 8. Hi Cameron, I really enjoyed reading your blog post. My boys I know feel the same way as you do. They are 9,7&2 and have never been to school. Unschooling has allowed our whole family to look at life and learning in a new way. When we first started Daddy was a little unsure about homeschooling but now he loves that we chose unschooling. He sees how much the boys have learned on their own and love life. I am so glad you are writing to tell other families to consider the same thing. Hi Cameron, thank you for sharing your insight. I have two daughters, one who is 2.5 and new baby; we plan to unschoool them and it is so wonderful to imagine that they will feel similarly​ to you. I can sense your freedom, joy and passion through your words. Wonderful Cameron, it sounds like you really enjoy your life. Hi Cam! My name is Bria, and you are basically me! I am seven, I love Minecraft, lego, dragons, playing with my friends, and many of the things you do. I unschool, too, and I am so happy we get to live this life! I hope other families will read your blog post and think it is a good idea, too! Cameron, I loved reading your perspective. You’re full of such wisdom. I’m glad you’re free to be you. I agree 100% . I am the mom of a 21 yr old son. He never spent a single day in school, we did unschooling, all the way. People are always telling me how smart he is, and we are always saying, “That’s because he didn’t have to waste time in school, and could learn about anything that he was interested in, at whatever time he wanted.” I’m so glad that you have awesome parents who understand about the love of learning, and how school ruins it. Well put.Awesome. Enjoy life and keep smiling. Hi, that is really well said. I unschooling as well, and posts like this show others it is not a mistake. Kids will learn if the opportunity is there. Thank you for telling me about not going to school. My name is Matthew. I am 5 years old – almost 6 – and I love the idea. I homeschool and have a little sister named Sage. I like playing in the park and making friends there and I love when I get to play with my sister all day too. We’re unschoolers too! I like to play minecraft. We also went on a camping trip together with other unschoolers and mostly homeschoolers. Thank you for writing this, it was really interesting! I totally agree with you and love what you wrote! Thank you! Hi Cam. Thank you for writte this. I have 4 kids, one of them is 8. We unschool and my mother in love ask him everytime to go to a class to do a special sport but he doesn’t want. He want to play and do what he want for him self. I’m going to share this post with her. I love your post. I do the same thing as you do. I love it too. Thankyou for sharing your thoughts and wonderful philosophy about life and learning. 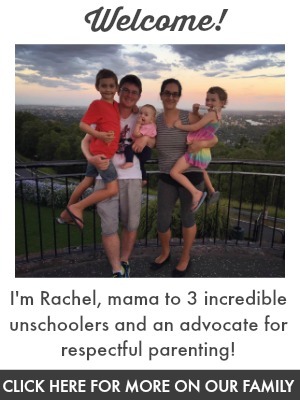 We are a radical unschooling family also and it’s conversations like yours and wonderful blogs like your mum’s that convinced us to do this 3 years ago. Sharing our stories are the best ways to inform and embrace others and you have done a wonderful job of it. Thank you and keep on swinging from the trees! Oh Cam what a fabulous blog post! I am so pleased to hear your opinions. And so happy that your mum has a platform that means you’ll get lots of readers :) Are you be interested in blogging too?